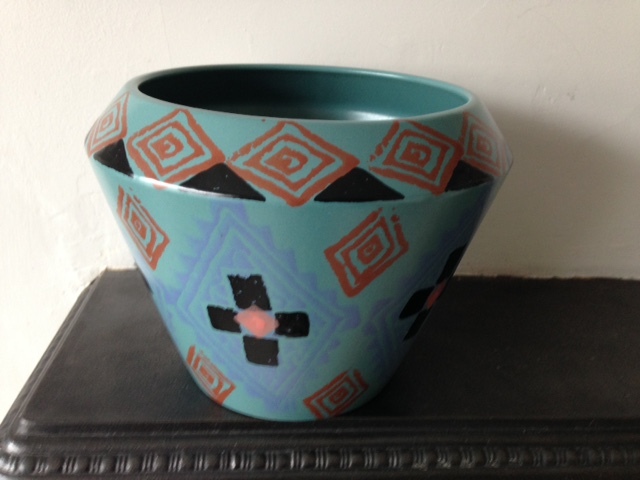 1980's Next Interiors Vase - Anyone know who the designer is? Re: 1980's Next Interiors Vase - Anyone know who the designer is? I saw s plate with the design just the other day. Is there nothing on the base? No the labels missing. It's 100% for Next Interiors as a friend has several vases with the same design that are labelled up. If only I could get my hands on the next directory for 1988!